The thyroid is a gland in the neck which secretes hormones that control your body's growth and development and depending on what thyroid disease you have the symptoms will vary. So best to see a doctor. 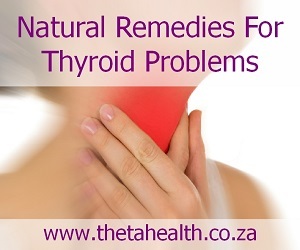 If you have thyroid troubles then use our natural remedies for thyroid problems. We have supplements and health products below for you to use as a natural thyroid remedy.